This January, Solution FM encourages you to strengthen your marriage. Beginning Sunday, January 1st, it's the Solution FM 40 Day Love Dare Challenge. First, accept the challenge by filling out the form here. By accepting the challenge and submitting your form, you'll go into a drawing to win all sorts of great resources to strengthen your marriage. We know that it won't be easy, but isn't your marriage worth it? Please email us as you take the challenge and share your struggles and your successes. 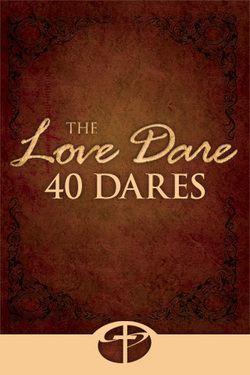 You can pick up a copy of The Love Dare for less than $9 here: http://www.outreach.com/promo/fireproof/home.aspx or by calling 1-800-991-6011. In the movie FIREPROOF, a couple dares to rescue their choking marriage from the flames of divorce and temptation using The Love Dare book as a guide. Now you can take the experience of the film and apply it to your marriage. 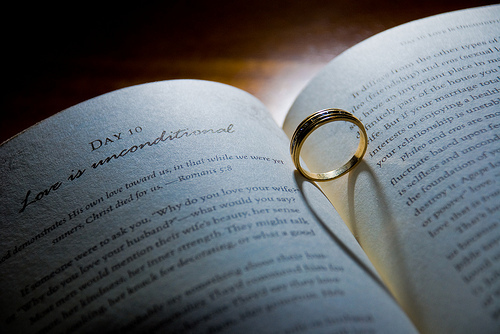 This daily devotional steers you through the fiery challenge of developing a strong, committed marriage in a world that threatens to burn it to the ground.The Love Dare personally leads you through daily devotionals, records your thoughts and experiences, and ends each day daring you to perform a simple act of love for your spouse. This 40-Day journey equips you to melt hardened, separated hearts into an enduring love that can withstand the flames of fear, pride and temptation. The Love Dare book will help you reinforce and enrich your marriage, earn back a love you thought was lost, and hear more about the One who not only designed unconditional, sacrificial love—He illustrated it. In a world that attacks, devalues, and redefines relationships every day, learn how to rescue and protect your marriage from the firestorm.